5 Songs We Can’t Stop Listening To is a collection of our newest favorite songs. Every week we ask an artist that we love to tell us about the music they love. Listen to the whole segment and all the songs below. Justin Barney: Estelle, what’s the last song you couldn’t stop listening to? Estelle: The last song I put up was from Busy Signal. He’s a reggae artist and I love him. A song called, “Know You Good.” He just put it up. Justin Barney: What makes Busy Signal stick out to you? Estelle: So do you remember when Beanie Man came out? Estelle: Beanie man had all these joints like back to back to back to back to back. That’s what Busy is to me. He’s just got all of these heat rocks. Without thought just like boom boom boom boom boom. And I like that vibe. I like when you’re doing records that are up, records that are down, records that are in between, but you’re not too hyped on them. You’re more just like, “Yo, the record’s good.” The record’s great. Put it up. Four months later, here goes another one. ‘Cause you know that’s how, to me, Beanie Man built his catalogue. There are so many Beanie Man hits to me. I was on a car ride and I just DJed Beanie Man on my phone for like two hours in the car ride. That’s how many records he has. And that, to me, is what Busy Signal has. They are all good and he’s building that. They are all really good records. They are all good songs, not just throwaway verses, they are good records with real hooks. Estelle: It’s in the beat. It’s an old ’90s dancehall beat. So it reminds me of like me in the ’90s as a teenager going to all-dayers and parties and what not and that kind of vibe. The fact that he knows that vibe, brought it back and didn’t make it corny, that’s a good time. 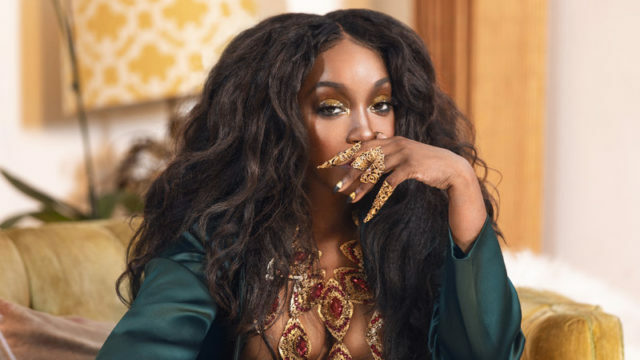 Read my full interview with Estelle here. Song two this week is my pick. One song I can’t stop listening to is “Quietist Friend” by Pedro the Lion. Pedro the Lion’s new album, “Phoenix” is about the first twelve years of David Bazan’s life, when his family was living in Phoenix, Arizona. And this song is about a time when David Bazan was in fifth grade and a group of kids were picking on one of David’s friends. This group of bullies looked to David Bazan to land this final blow and make fun of this poor kid, who also happened to be David’s friend. And instead of standing up for his friend, David gave in and he bullied the kid too. I was thinking about this song and I really wanted to talk to David about it. So I called him up and we talked for a long time about this song. I’d like to play, right here, just a little clip of what David Bazan said about it. David Bazan: You know, he didn’t trust me after that. Learning to trust yourself and be trust worthy with yourself and not selling yourself to fit in. If you sell yourself out to fit in you’re going to sell other people out to fit in. That was a hard realization to come to but it was also really important because I don’t want to sell anyone out. Read the whole David Bazan interview here. My guest today is Panda Bear. 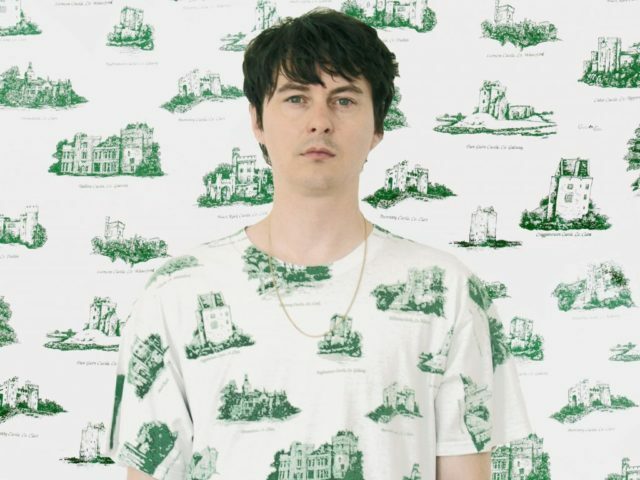 Panda Bear is Noah Lennox. He is also a founding member of Animal Collective. Panda Bear’s music still has that experimentation that Animal Collective has, just a little more Noah Lennox to it. Panda Bear is going to have a new album out called, “Buoys” this Friday. Panda Bear: “Powerglide”by Rae Sremmurd. Panda Bear: “Uh, so I believe it’s a… god I don’t know who produced it even. I want to say it’s Mike WiLL. It might not be Mike WiLL. Mike WiLL did Black Beatles by them, which is another song I really love. But, “Powerglide” probably came out I want to say about a year ago. Maybe a little bit more. Um, I think. I gather that they’ve just broken up, that Rae Sremmurd have just broken up, but uh… Swae Lee who’s the singer of in group is one of my favorite things. Justin Barney: What about Swae Lee separates him or what connects for you? Panda Bear: I can be kind of choosy about voices. It’s hard to like, put my finger on what it is that I like about a voice, but it’s just an instinctual response. Yeah, it’s hard to explain beyond that. Some people’s voices just sort of feel right I guess. Justin Barney: That’s true! Yeah, I’m always trying to dissect it. I guess a lot of times you just hear it and that’s what it is. You know, yeah this is my jam. This is the thing. Panda Bear: Yeah, it’s just a jam. Maxo Kream is Huston Texas’ truth teller. This song is about him writing letters to his friends and family members who are in jail. It’s about him literally just checking in on them. Telling them what’s going on in the neighborhood. Letting them know that he’s there for them. There is something about it the is casual and touching. There are just some songs that are meant for you. This song is meant for me. Edith Piaf is in my top five artists of all time. And La Vie En Rose is her masterpiece. Covered by Lucy Dacus who made my number one album of last year. It’s like this song was made in a lab calibrated to my specific musical taste. I can’t resist but to love this song.